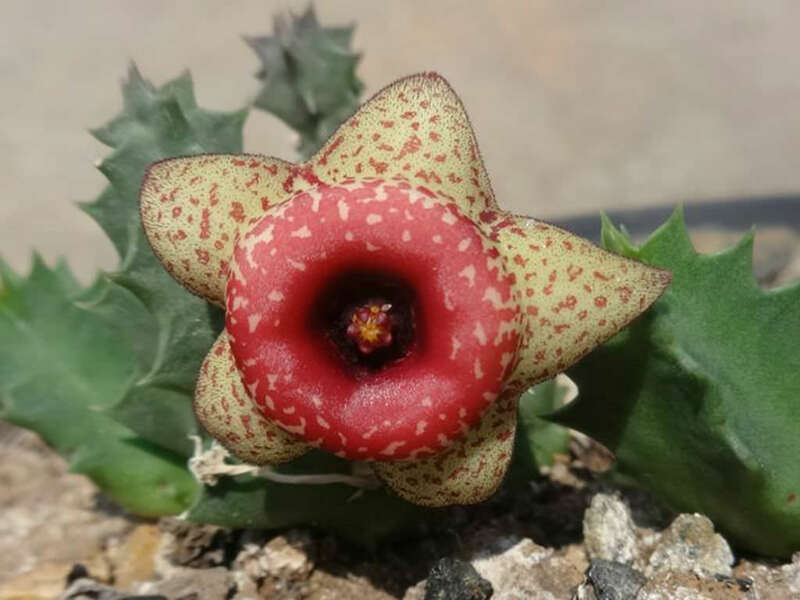 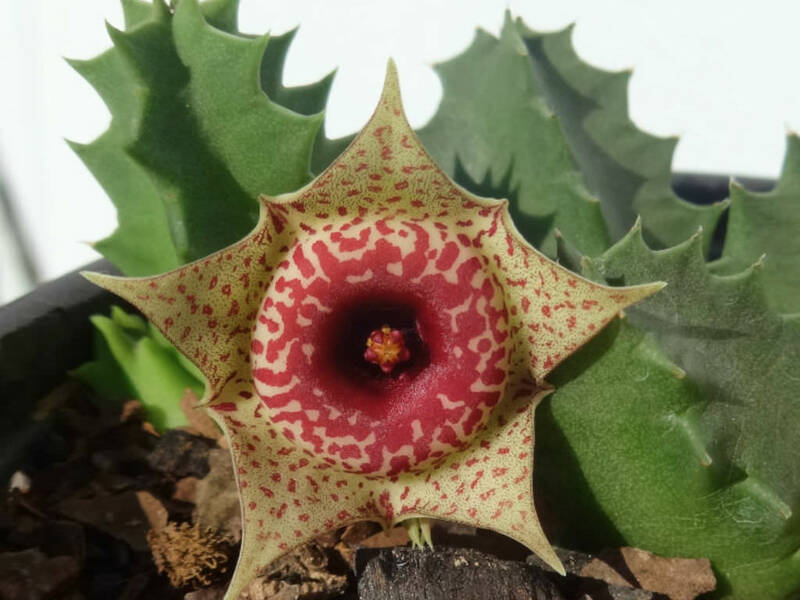 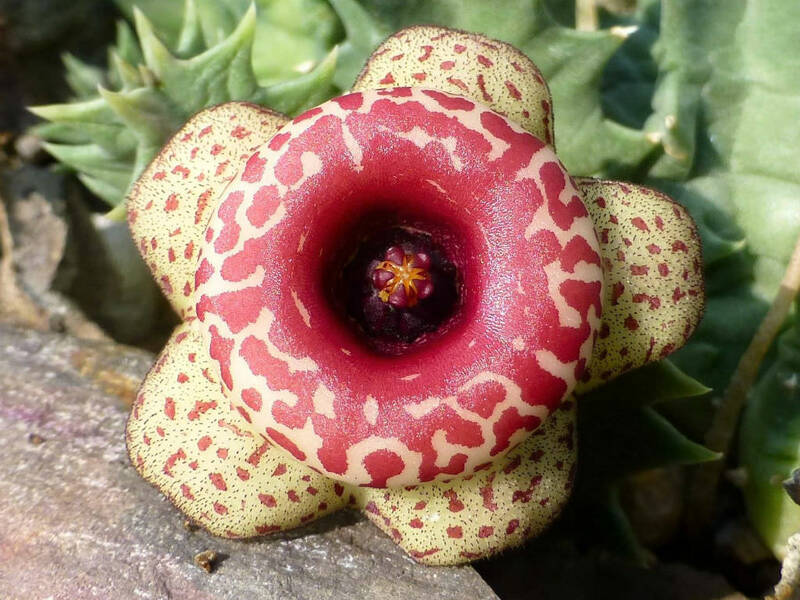 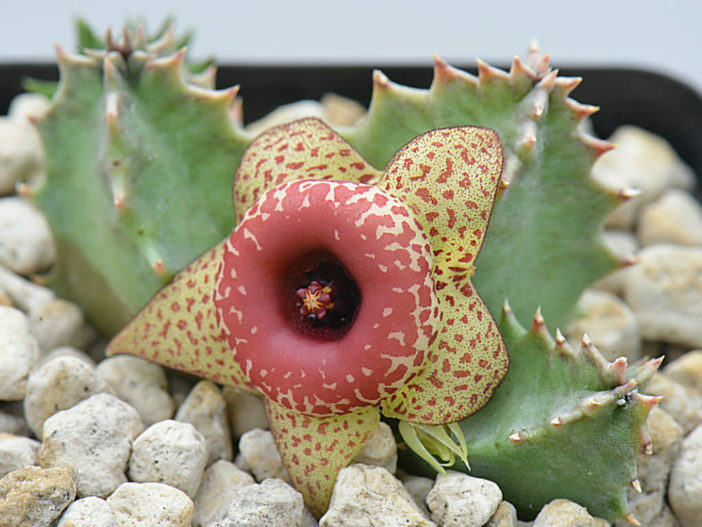 Huernia humilis is a small, compact succulent with beautiful flowers highlighted by dramatic colors, with a fleshy, rose, donut-shaped annulus in the center, darker than the lobes, which are yellow with small maroon spots. 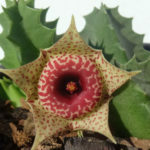 The tube is maroon inside and smooth at the mouth. 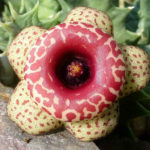 The flowers are star-shaped, up to 1.2 inches (3 cm) in diameter. 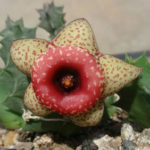 The stems are short, branching from the base, acutely 4 or 5 angled, tapering to the apex in a pyramidal shape or globose, nearly erect and stout, up to 3 inches (7.5 cm) long, up to 0.8 inch (2 cm) thick excluding the teeth, green, glaucous green or grayish and usually with maroon markings.